Created to rival the wines of Champagne, Clover Hill blends the finest traditions of this famous region with its own distinguished Tasmanian style. 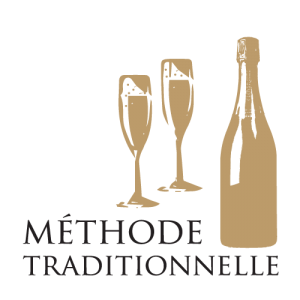 Using only the traditional varieties of Champagne – Chardonnay, Pinot Noir and Pinot Meunier – Clover Hill produces its sparkling wines in the traditional Méthode Champenoise. Clover Hill is able to craft wines of pedigree due to its ideal location in North Eastern Tasmania, the superior quality of its cool-climate fruit and the intimate attention to detail given by its dedicated winemakers. The Clover Hill Pipers River vineyard site capitalises on three natural assets – a cool maritime climate, ancient volcanic soils and a sheltered amphitheater. This 66-hectare property, overlooking Bass Straight, has mild autumn temperatures that range between a maximum of 25 and a minimum of 10 degrees Celsius. This makes for a long ripening season allowing superior flavour development, low sugar levels and high natural acidity: the perfect combination for super premium sparkling wine. This vineyard also has very high density plantings with row orientations following the contours of the site while maximising sunlight interception. Significant emphasis is placed on canopy management at Clover Hill with an effort to produce the perfect vine balance and therefore the highest quality of fruit. 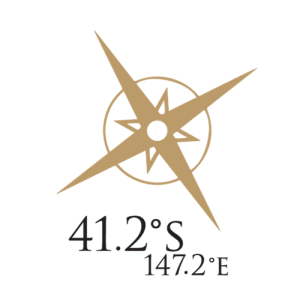 The vineyard is dry grown, relying on natural rainfall throughout the growing season. In the Coal River Valley, the newly planted Tea Tree vineyard offers an alternative terroir of dark clay soil, northern exposed fruit and low rainfall which work together to add an intricate layer of complexity to the Clover Hill wines. Established in 2008, the wide spaced row plantings maximise airflow within the low elevated terrain thus producing fruit reflective of the delicate, cool climate region of South East Tasmania. Clover Hill is acknowledged as one of Australia’s finest sparkling wine producers. 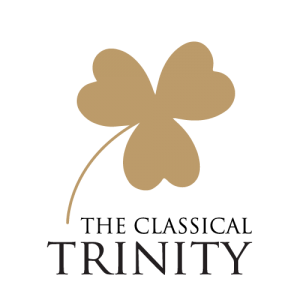 The site is ideally suited to growing the “classic trinity” of traditional sparkling varietals. Clover Hill’s commitment to excellence has been recognised with numerous accolades received from its inaugural vintage to today. Clover Hill’s first vintage in 1991 consisted solely of Chardonnay from the vineyard’s first plantings. This sophisticated and elegant vintage laid the foundation for the unmistakable flavours and structure that is now the core of the Clover Hill’s sparkling house style. With the success of this Blanc de Blancs wine, Clover Hill diversified its plantings to produce classic sparkling blends comprised of Chardonnay, Pinot Noir and Pinot Meunier. During vintage, hand-harvested grapes are gently whole-bunched pressed and fermented in separate batches, where Clover Hill’s winemakers can create sparkling wines that reflect the finest aspects of both fruit and season. Since its premier vintage in 1991, Clover Hill has been crafted using the traditional French technique ‘Méthode Traditionnelle’, whereby the wine is fermented, matured for a minimum of two years and disgorged in the bottle it is presented in. This is a highly specialised process and requires considerable expertise. After maturation on yeast lees, each bottle is gradually rotated and inverted (riddled), so the yeast lees will settle in the neck of the bottle. By the end of this riddling process, each Clover Hill bottle is ready for disgorgement – the process of removing the yeast from the bottle. The wine is then finished by adding its dosage, a unique selection of reserve Clover Hill wine that has been aged in French oak foudre to capture the unique house style of Clover Hill.